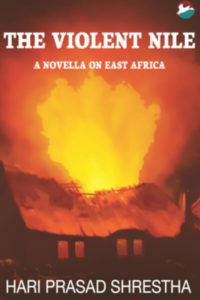 Inspired by the author’s own experiences from his time spent in East Africa, The Violent Nile is a moving account of the hardships faced by the Luo community under the biased and oppressive Bantro regime. It explores the theme of inter-tribal conflicts, which are a common occurrence in the region and quite often take on barbarous proportions, leaving behind a trail of widowed women and fatherless children. Inspired by the author’s own experiences from his time spent in East Africa, The Violent Nile is a moving account of the hardships faced by the Luo community under the biased and oppressive Bantro regime. It explores the theme of inter-tribal conflicts, which are a common occurrence in the region and quite often take on barbarous proportions, leaving behind a trail of widowed women and fatherless children. Through deftly woven in tales of human bonds and relationships and elaborate descriptions of wedding ceremonies, match-making practices and other rituals, the author has painted an evocative portrait of tribal community life. Hari Prasad Shrestha was born in Palpa, Nepal, and graduated from Tribhuvan University. He went on to Italy to complete his further studies. He worked for the Nepalese government for three and a half decades under different ministries and has been associated with the United Nations Development Programme (UNDP). He is currently serving as a Revenue Specialist for UNDP, South Sudan. He has two published books to his credit and regularly contributes articles to leading dailies across the world. He is also a member of the Nepalese Journal of Administration, Management and Development.